a FREE SkateFest T-Shirt and access to over $25,000 in Prizes. Everyone who rides in Sk8 for a Cause receives prizes. Must arrive by 7 PM to sign up, late arrivals will skate at the end of the night. Semi-finals + Finals of the skate competition will begin at 2 PM and be held throughout the day. This Advanced/Sponsored division is a street skating competition that will be taking place in the new concrete street plaza at Wakefield Skate Park. Open to skaters of all ages and you do not have to be sponsored to compete. *Only valid in the National Capital Region. Minimum $10 in donations. Get your Family, friends neighbors or businesses to sponsor you. Throughout all the competitions we will be keeping an eye out to choose a select few skaters to join the Fairfax Surf Shop Team with full FSS sponsorship! 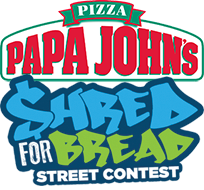 Prizes will be awarded to top finishers in every age bracket for each competition category, totaling over $10,000 in giveaways plus the additional cash prizes for the $hred for Bread competition winners! Prizes are also awarded to the 1st, 2nd and 3rd place for each event in each age bracket. Participants may only enter in one age-group bracket, and one,or more (or ALL!) competition categories. On the Main Festival Day, June 25, 2016 finals for the skate competition will begin at 2 PM and will be held throughout the day.